How can we ensure that agricultural research and innovations do not widen the gender gap? Growth in farming will come from women and youth. How can we attract and support these individuals to ensure success? This was the focus of a session themed ‘Youth and Women are the Future of Farming’ at the Water for Food International Forum in Washington, D.C. in which Dr. Wanjiru Kamau-Rutenberg was the key speaker. What if all our efforts in promoting agricultural research and innovations not only fails to improve people’s lives but actually makes certain people’s lives worse? In her opening remarks, Dr. Kamau-Rutenberg sought to contextualize agricultural research and innovation and the need to consider the diversity of actors along agricultural value chains. 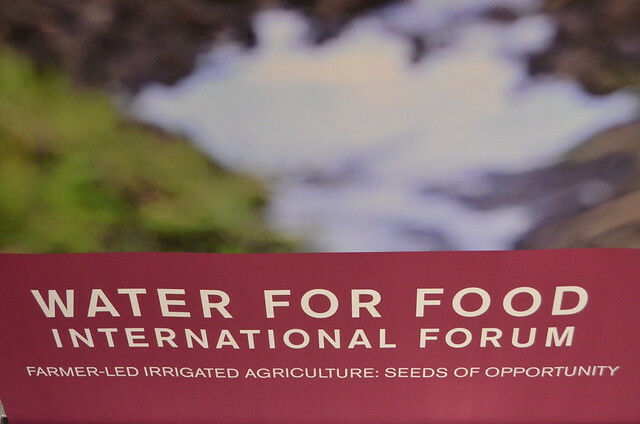 For more photos of the Water for Food International Forum, view them on Flickr. The Water for Food International Forum was produced by the Daugherty Water for Food Global Institute at the University of Nebraska and the World Bank, in partnership with the U.S. Department of Agriculture and the U.S. Agency for International Development, Jan. 29-30, 2018, in Washington, D.C., USA.